How do I get more sound sleep? It's not tough to get rid of insomnia. Along with training and food, rest is another fundamental pillar for our health. In sleep is important both quantity and quality, so we must take into account some factors that improve the hours of rest. How can I get a good night sleep? The first thing is to know how many hours you have to sleep to rest entirely. There are many theories, but almost all have one thing in common: from 7 to 8 hours a day sleep are the best to get rest in an average adult. 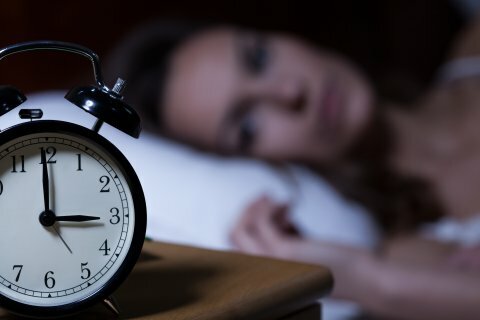 That is why bedtime 8 hours before the alarm sounds, is the best way to ensure the rest, regardless of the reading time, listen to the radio or look at the computer. If it's hard to get to sleep, it is important to do a relaxing routine before going to bed: take a relaxing bath, brush your hair, read a book, listen to quiet music. Everything goes to sleep relaxed and reconcile sleep as soon as possible. Do not train just before going to bed. Especially if the training is very intense. A low-intensity physical activity will help you fall asleep, but when you do it for about 2 hours or more before going to bed. If that day we have crushed much, better that is 4-5 hours before going to sleep, but fatigue will make it difficult to rest. The same happens with food, it is not advisable to finish eating and go to bed immediately. The stomach needs blood, and if we fall asleep, the whole body will relax, and the digestion will become heavier. Not to mention the big dinners, a nuisance to catch the dream. The ideal is to eat lightly 2-3 hours before going to bed. And finally, it's about the bed and the pillow. It is worth to spend some money to improve the quality of our rest after all this translates into improving our quality of life and this is priceless.